hehehe, who hasn't? Nice illo! 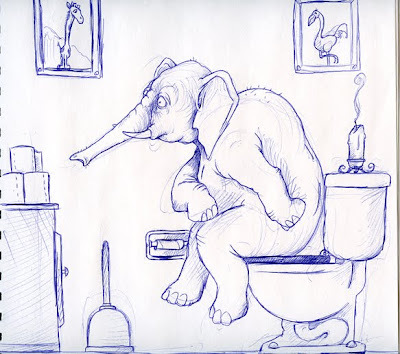 The panic of walking into the bathroom and finding an elephant in there, and the frustration that you'll have to wait? Yes but that elephant has a trunk.... most people don't!! Hehe funny illustration! Great drawing too. This is cute and funny! By the way, nice drawing too!